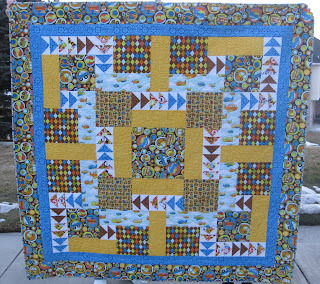 "Catch me if you can" is the name for this quilt I made using Riley Blake Design's fabric from their On the Go line. It is super colorful, I know, but that is how little kids (read 'me') like it! The fabrics are filled with airplanes, trucks, locomotives, scooters, cars... So, I came up with this irregular grid pattern to showcase all the fun prints, with the flying geese to add more motion to the design. Click here to go to the step-by-step tutorial, which is posted on Riley Blake's site, along with the printer friendly version. Then, come back and let me know how you like it. Notice the snow behind the quilt (my husband and one of my sons are doubling here as quilt holders...). 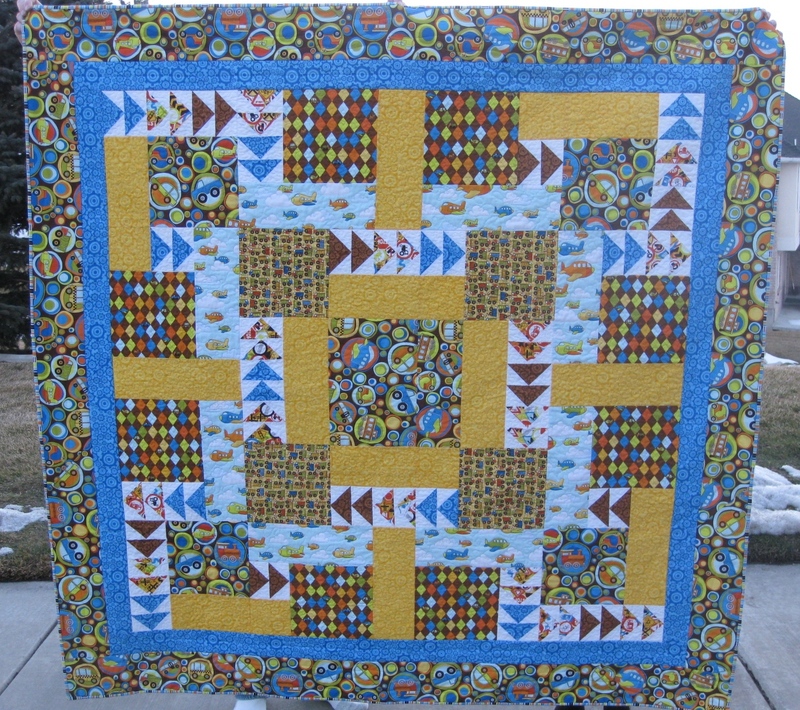 I did not even notice the bad weather we were having while I was making this quilt. The fabrics were so much fun!